Creative people have always been attracted to San Francisco, from the inventor of Levi’s blue jeans to the wizards of the latest tech startups to the creators of Burning Man. Artists find the city’s atmosphere of innovation and freedom of expression irresistible, resulting in a diverse collection of remarkable museums, exhibitions and events that are equally irresistible to those who love the arts. 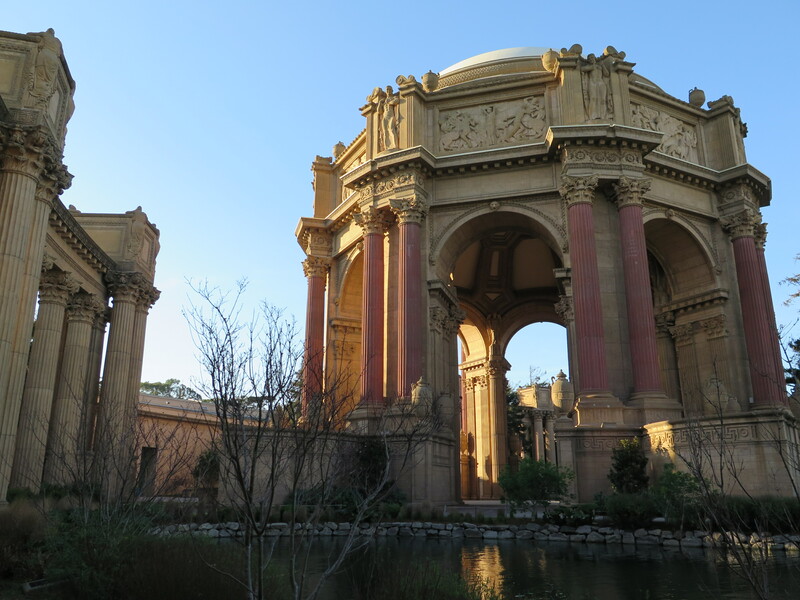 Here are some recent and upcoming developments in San Francisco’s arts and culture scene. Art lovers (anyone interested in human rights) have only seven weeks left to see the works of world renowned artist Ai Weiwei at Alcatraz, the notorious prison turned national park in San Francisco Bay. @Large: Ai Weiwei on Alcatraz, a site-specific exhibition of works, is on view through April 26, 2015. The Chinese artist is internationally recognized both as a maker of potent and provocative art and as a passionate advocate for human rights and freedom of expression. His art and ideas find a compelling new context in this exhibition of large-scale sculpture, sound and mixed media created specifically for Alcatraz. Ai’s sculpture, sound and mixed-media works occupy four locations in the former prison: the New Industries Building, A Block, the Hospital and the Dining Hall. With the exception of the Dining Hall, these spaces are usually off limits to the public, but all will be open throughout the run of this unprecedented exhibition. For more information on ticket options, see http://www.parksconservancy.org/events/park-interp/ai-weiwei-alcatraz.html. @Large: Ai Weiwei on Alcatraz is organized by the FOR-SITE Foundation in partnership with the National Park Service and the Golden Gate National Parks Conservancy. San Francisco has long been a city committed to accessible art. After experiencing Ai Weiwei’s work on Alcatraz, people will be ready to discover more public art and they will be in exactly the right place. The Embarcadero is home to more than a dozen public art installations. It’s hard to miss Cupid’s Span, the gigantic bow and arrow by Claes Oldenburg and Coosje van Bruggen in Rincon Park. On the south side of the Bay Bridge, on the Embarcadero at Second and Townsend streets, is Mark DiSuvero’s Sea Change. Seventy feet tall and weighing 10 tons, this elegant and kinetic sculpture serves as a gateway to the newly refurbished South Waterfront. Some installations blend history and culture. Between Piers 35 and 39, Roger Barr’s Skygate, a 26-foot-high mirror-polished stainless steel sculpture, is dedicated to the memory of Eric Hoffer (1903-1983), a longshoreman, poet and philosopher. Many of the public art installations along the waterfront and throughout the city are part of the city’s civic art collection. For a map of public art, visit www.sfartscommission.org/pubartcollection/pubart-projects/2008/10/21/public-art-projects-map. A major expansion is underway at the San Francisco Museum of Modern Art (SFMOMA), which has embodied bold vision and innovation from its founding in 1935 to the 1995 opening of its Mario Botta-designed building. With more than 30,000 works, SFMOMA has built definitive collections in painting and sculpture, photography, architecture and design, and media arts, including significant examples of the art of the Bay Area and California. The SFMOMA collection is internationally recognized and continues to grow. In 2016, SFMOMA will reinvent itself yet again by more than doubling its current capacity for the presentation of art, providing almost six times as much public space as the current building. The centerpiece of SFMOMA’s expansion is the remarkable building design developed in collaboration with the architectural firm Snøhetta. The approximately 235,000-square-foot expansion will seamlessly join the existing building. One of the catalysts for the expansion is the addition of the Doris and Donald Fisher Collection, one of the greatest private collections of contemporary art in the world. Learn more at www.sfmoma.org. The Museum of the African Diaspora (MoAD) is one of the few museums in the world focused on African Diaspora culture and on presenting the rich cultural art works of the people of Africa and of African descendant cultures around the world. The Museum is currently featuring “The Art of Elizabeth Catlett” through April 5, 2015. MoAD reopened in December, 2014, after a $1.3 million renovation with added gallery space, a more open layout for the ground floor and lobby, a redesigned Museum store, and an upgrade to all of its technology including interactive iPad kiosks in the lobby and a new website. MoAD recently was chosen as a Smithsonian Affiliate and now has access to the Smithsonian Institution’s collection of 136 million artifacts for research, exhibits and programming. Situated in the heart of the Yerba Buena Arts District, home of the Yerba Buena Center for the Arts, MoAD is actively engaged in building a community that inspires, educates and connects people of all ages and backgrounds. MoAD seeks to build a deeper understanding of the African Diaspora through art, programs and events that cultivate wonder and excitement about the ways in which personal histories are connected. As a nonprofit organization, the museum’s operations and programs are supported by grants and contributions from public and private sources. To learn more, visit www.moadsf.org. As part of SFMOMA’s On the Go series showcasing the museum’s collection at other cultural venues in the region, the Oakland Museum of California features “Fertile Ground: Art and Community in California” through April 12, 2015 and MoAD presents Portraits and Other Likenesses from SFMOMA, opening May 8. Organized in partnership with the Museum of the African Diaspora, “Portraits and Other Likenesses from SFMOMA” considers how artists from the early 20th century to the present have negotiated a vast array of European, African and American visual-cultural forms to redefine what it means to make a portrait. Together, the works suggest that as people move between geographies, meanings drift, too. “Fertile Ground” illuminates local histories and social forces that changed the face of art in — and beyond — the Golden State. Weaving together art and ephemera from the collections of the Oakland Museum of California and SFMOMA, the exhibition tells the stories of four creative communities at decisive moments in the history of California art: the circle of artists and influences from Diego Rivera and Frida Kahlo in San Francisco in the 1930s to the streetwise, uncompromisingly idealistic artists at the center of a vibrant new Mission scene that took root in the 1990s through the present. San Francisco has become a national leader in light art. No recent development underscores this more strongly than the news that The Bay Lights, the world’s largest LED light sculpture, will become a permanent icon on the city’s landscape. Illuminate the Arts has successfully raised $4 million in private funds to pay for new equipment and re-installation. Since its debut on March 5, 2013, the vertical cables of the Bay Bridge’s western span (also known as the Willie L. Brown Jr. Bridge) have come to life nightly with 25,000 LED lights “performing” in patterns created by light artist Leo Villareal. The originally planned two-year installation of The Bay Lights by artist Leo Villareal will end on March 6, 2015 and the sculpture will be removed to allow Caltrans to perform maintenance on the bridge cables. The Bay Lights will be re-installed in time to shine for Super Bowl 50 in February 2016. Learn more at http://thebaylights.org/about/. Soma by the Flaming Lotus Girls at Pier 14 on the Embarcadero debuted at Burning Man in 2009 and has been organized by the Black Rock Arts Foundation. It will be illuminated at 10 minutes after sunset until 2 a.m. nightly through July 2015. On Treasure Island, Bliss Dance by Marco Cochrane (2011) is on display on the Avenue of the Palms at the Great Lawn. Though no end date has been announced, the installation is considered “temporary, until further notice.” The 40-foot-tall sculpture’s lighting effects are on from 8:30 p.m. to 1 a.m. nightly. Light-centric events and tours are currently being scheduled around the summer solstice, on June 21, 2015. San Francisco Travel, the city’s tourism marketing organization, is also planning the third annual IlluminateSF festival to celebrate these eclectic, electric installations in December 2015 and January 2016. San Francisco International Airport (SFO) offers non-stop flights to more than 34 international cities on 29 international carriers. The Bay Area’s largest airport connects non-stop with 78 cities in the U.S. on 15 domestic airlines. SFO offers upgraded free Wi-Fi with no advertising. For up-to-the-minute departure and arrival information, airport maps and details on shopping, dining, cultural exhibitions, ground transportation and more, visit www.flysfo.com. Follow on www.twitter.com/flysfo and www.facebook.com/flysfo.